Flying to Arkansas today. I have never been there, so it should be interesting. More later. Before I get started: the more that I visit the new Katzen Art Center’s galleries, the more that it dawns on me that we now can boast to having one of the best visual art spaces in the Mid-Atlantic; the place is just amazing, and I am hypnotized by the way that walls pop in and out and curve around, forcing the visitor to admire not only what’s on display, but the space as well. 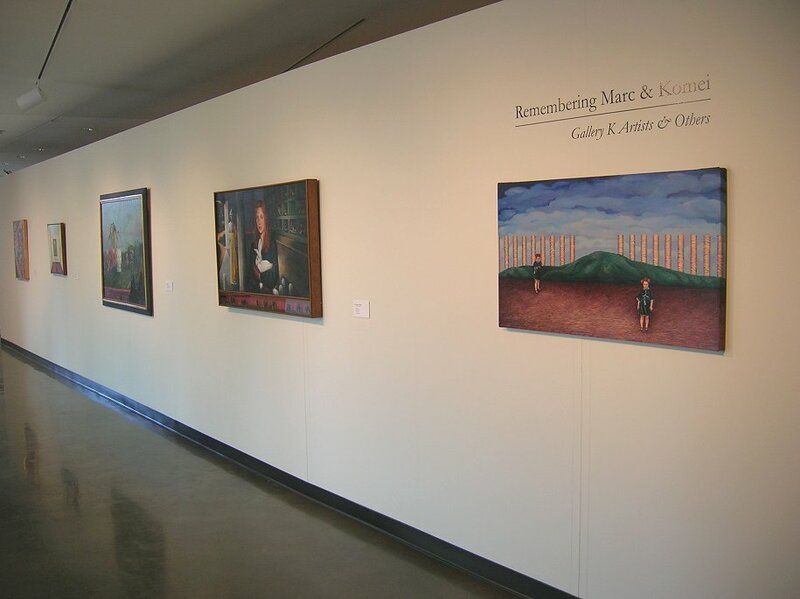 On display currently is the massive "Remembering Marc & Komei" exhibition through March 12, 2006. This exhibition introduces 92 artists from the 2,500 plus art collection of H. Marc Moyens and Komei Wachi, the deceased owners of the now closed Gallery K in Washington, D.C. This exhibition, the first to show the collection since Walter Hopps curated a show of Moyens’s collection for the Corcoran Gallery of Art in 1969-70, is a truly unique opportunity to view, study and learn what makes successful art collectors and successful art dealers often merge into one entity. At first sight, the initial reaction is to try to write that Moyens and later Wachi had an amazing diverse and eclectic taste in art. Once we check that initial impulse with the fact that the collection spread over many decades, it is easy to see that their tastes and insights changed over the years, but never their curiosity and zeal to acquire and grow their collection. In fact, it’s a fascinating guessing game to see what and who came first. This is not easy, as these two gentlemen collected both area and national artists as well as many European artists who were often known better abroad than in the United States. It has been written that "Moyens and Wachi eschewed fashion in favor of the offbeat, the magical, and the visually arresting." And I would agree with some reservations, in the sense that I don’t think that they eschewed fashion, but were in several cases, ahead of the coming fashion trend, and like experienced collectors, often stuck with their instincts, and were handsomely rewarded later, once the ever swinging art fashion pendulum swung back to align with their selections. Let’s walk through this amazing show. On the ground floor gallery, we discover a very early Joe Shannon. 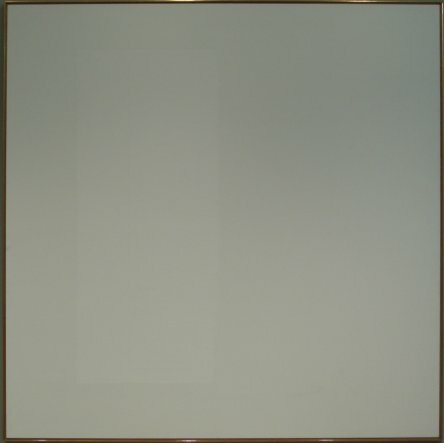 Titled "Businessmen" and painted in 1970, it is a precursor to the harsh, warring paintings that Shannon would produce over the next 35 years. 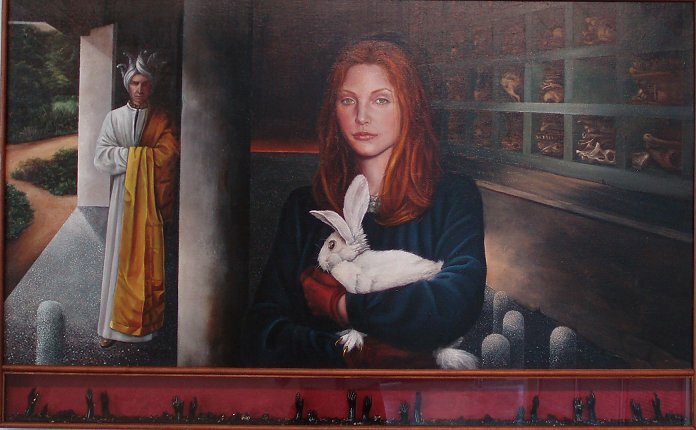 It is also curious to see a fully dressed Shannon appear in the painting (he’s the bearded man to the left), as Shannon usually makes his appearances in his works in the buff. This talented Puerto Rican artist has been a key member of the DC art scene for nearly five decades now and he has been ignored way too long, and Shannon is overdue for a major museum retrospective here in DC. And then we are surrounded by my earlier points. How could a collection be so eclectic and diverse? How could the same collector that picked up John McLaughlin’s "#21-1959" possibly in 1959 and Annie Truitt’s "Arundel XIV" in 1975 and Morris Graves barely there pastel on paper "Bird of the Inner Eye" in 1955, also select Fritz Kothe’s "Honda" in 1966? Because he or they, liked them. And sometimes there are stories associated with the pieces, that remind us what kind of mensch these two gentlemen truly were. There’s an amazing, and highly personal piece in the exhibition by DC artist Sidney Lawrence. 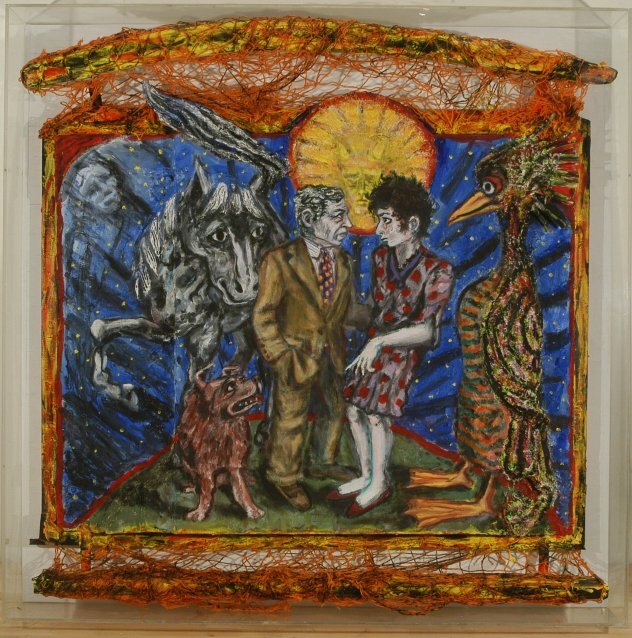 It is called "Peaceable Kingdom" and Lawrence created it in 1982, when it was part of his solo exhibition at Gallery K.
The piece, which depicts the artist (Lawrence's face is in the sun) and was dedicated by Lawrence to his father (who had died about the time that the work was created and is depicted as the phantom face on the left) in a very intimate and story-telling world, sold to a local DC collector. The iconographic work depicts Abram Lerner, then Lawrence's boss at the Hirshhorn, talking to artist Jody Mussoff. Lawrence created the work from a photograph taken at an opening, and as he recalls, they were discussing the fact that a drawing by Mussoff was about to be bought by Joe Hirshhorn, and then donated to the museum. This intimate, iconographic work was not an easy piece of art to acquire, and it shows a courageous and savvy collector with a very good eye for art. A few years later the collector died, and his children, who obviously did not share their father’s valiant taste in artwork, asked Komei and Marc if they could return the piece and get their money back. 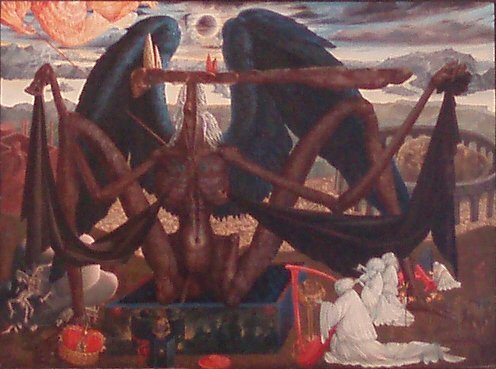 I was astounded that someone could be so bold as to ask to return a work of art acquired years earlier. But I was even more astounded to discover that Komei and Marc, did indeed return their father’s money and then decided to keep the piece for their own collection. 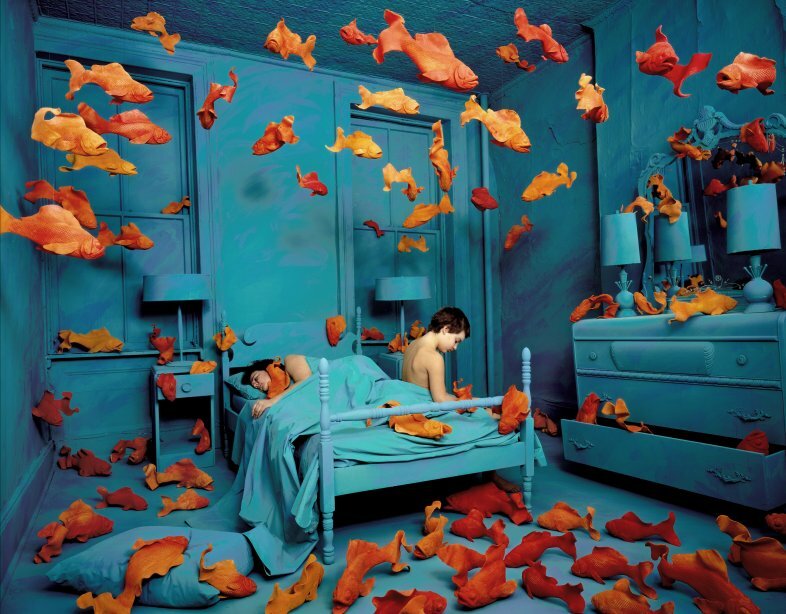 It is also clear to see that these two gents liked surrealistic and fantastic images in their collection. There’s a spectacular Ernst Fuchs oil and tempera on board titled "Angel of Death" (c.1952-58) that reminds me of both Bosch and more specifically of DC’s own Erik Sandberg, who exhibited with Gallery K for a while, but is curiously not included in this exhibit, and probably should have been (if his work is in their collection). 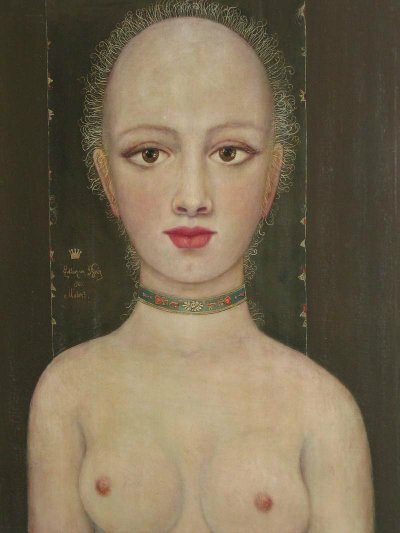 But my favorite work in this genre was an odd painting of a bald lady, appropriately titled "Bald-Headed Lady" and painted in 1960 by Zoltan Von Boer, superbly standing alone in its oddity and outsider-like feeling. Another masterful work in this genre is Margarida Kendall Hull’s (who was Sandberg's biggest influence when he was her student at GMU) jaw dropping "Lillith," painted by Kendall in 1993. Kendall Hall had a series of highly successful solo shows with Gallery K, and has since then, in a paradoxical departure, enjoyed spectacular success in Europe, where her work has been selling so briskly, both to museums and collectors, that Kendall now has a sizeable wait list, while all but disappearing from the local DC art scene. There are other surprises from the area artists in this collection (besides seeing a dressed Joe Shannon). Such as a great graphite on paper drawing by Fred Folsom titled "Chesterfields" and done by Folsom in 1978. 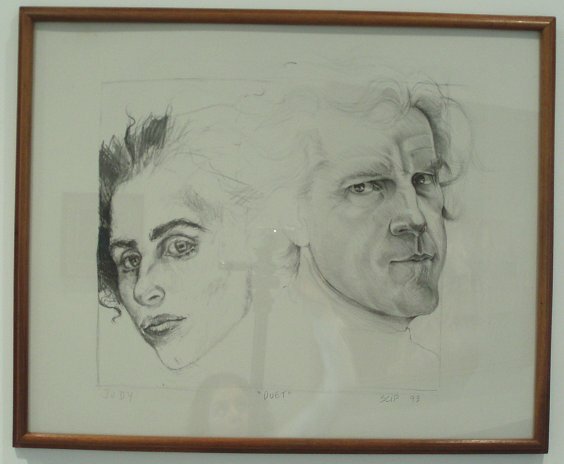 Another one of my favorites is a dual litho by Scip Barnhart and Jody Mussoff, a joint self-portrait of these two well-known DC artists done in 1993. There are strong pieces by Lisa Brotman, Jean Dubuffet, Edward Dugmore, Pierre Soulages, and Ken Young. 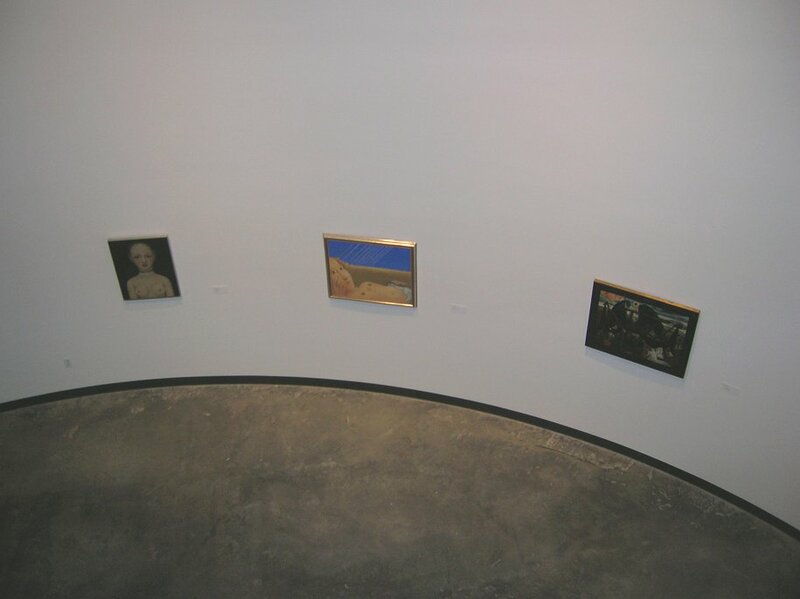 There’s a box (done in the 1950s) by Joseph Cornell, a 1977 Sean Scully and Sandra Skoglund’s weird Ciba "Revenge of the Goldfish" from 1981 and Andrea Way’s "Floating Time" from 1985. But the lesson here is very simple. When you love art, (if you can) you buy art. And then you buy what you like love. Thank you Komei; thank you Marc.